Sumedh Wasnik, Sandesh Goje, Siddheshwar Vaidya. Background: Inflammation is a complex biological response of body tissues to harmful stimuli [pathogens, damaged cells, or irritants] and a protective response involving immune cells, blood vessels, and molecular mediators. The function of inflammation is to eliminate the initial cause of cell injury, clear out necrotic cells and tissues damaged from the original insult and the inflammatory process, and initiate tissue repair. According to Ayurveda, inflammation is known by different names - Shotha, Shopha, Svayatu, Utsedha and Samhata. Aim: the review is aimed at generating basic knowledge of inflammation as per Ayurveda, which can be applied in both preventive as well as therapeutic purpose. Materials & Methods: The present literary review is based on the references available in basic Ayurveda classics & relevant modern texts. Observations: Chronic inflammation is a cardinal sign of chronic degenerative disorder. Inflammation and oedema associated with it is duly recognised in Ayurveda as a pathological manifestation. While modern medicine considers inflammation as a symptom or rather as a healing response of the body in wounds. Ayurveda treats the concept of inflammation as (a) symptom of a disease (b) an independent disease and (c) a complication of diseases. Degenerative diseases share a common pathological feature of inflammation. The disturbances in micro channel circulation in inflammation are due to Sroto Dushti clogging of channels) by Aama (toxic waste of metabolism). Preventing Aama formation could prevent many chronic degenerative disorders. Conclusion: The study concludes that the understanding of concept of inflammation is compulsory to prevent and treat various medico-surgical conditions in clinical practice. Sumedh Wasnik , Sandesh Goje, Siddheshwar Vaidya. Perspective of Inflammation through Ancient and Modern Parlance. J. res. tradit. med. 2017; 3(5): 151-155. Sumedh Wasnik , Sandesh Goje, Siddheshwar Vaidya. Perspective of Inflammation through Ancient and Modern Parlance. http://www.tmjournal.org/?mno=290333 [Access: April 19, 2019]. Sumedh Wasnik , Sandesh Goje, Siddheshwar Vaidya. Perspective of Inflammation through Ancient and Modern Parlance. J. res. tradit. med. (2017), [cited April 19, 2019]; 3(5): 151-155. Sumedh Wasnik , Sandesh Goje, Siddheshwar Vaidya (2017) Perspective of Inflammation through Ancient and Modern Parlance. J. res. tradit. med, 3 (5), 151-155. Sumedh Wasnik , Sandesh Goje, Siddheshwar Vaidya. 2017. Perspective of Inflammation through Ancient and Modern Parlance. JOURNAL OF RESEARCH IN TRADITIONAL MEDICINE, 3 (5), 151-155. Sumedh Wasnik , Sandesh Goje, Siddheshwar Vaidya. "Perspective of Inflammation through Ancient and Modern Parlance." JOURNAL OF RESEARCH IN TRADITIONAL MEDICINE 3 (2017), 151-155. Sumedh Wasnik , Sandesh Goje, Siddheshwar Vaidya. "Perspective of Inflammation through Ancient and Modern Parlance." 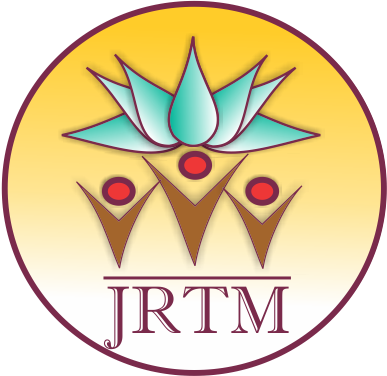 JOURNAL OF RESEARCH IN TRADITIONAL MEDICINE 3.5 (2017), 151-155. Print. Sumedh Wasnik , Sandesh Goje, Siddheshwar Vaidya (2017) Perspective of Inflammation through Ancient and Modern Parlance. JOURNAL OF RESEARCH IN TRADITIONAL MEDICINE, 3 (5), 151-155. J. res. tradit. med. Year: 2017, Volume: 3, Issue: 5: 151-155.